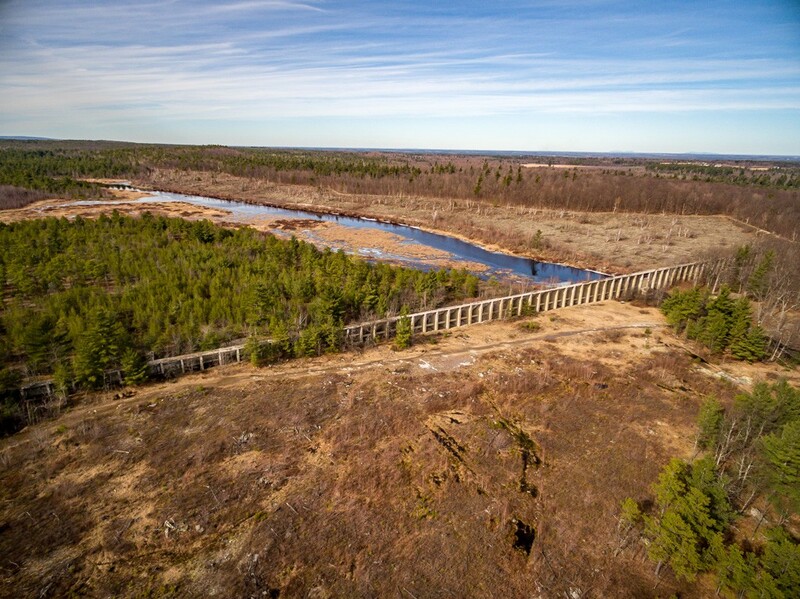 The Altona Dam at Flat Rock rises from moss-covered sandstone and jack pine barrens like the hulking ruins of an ancient Roman aqueduct. Crumbling and pockmarked, the massive concrete edifice stands 30 feet tall at its highest point and spans 2,300 feet across a shallow valley in Altona, N.Y. A creek flows unobstructed through a gaping hole in its base, where twisted wrought-iron rods protrude from the now-defunct slab-and-buttress dam. "What you put there, nature takes back," observed Amy Bedard, my tour guide for the morning. Bedard works as a librarian at the nearby William H. Miner Agricultural Research Institute, in Chazy, N.Y., which owns the restricted-access woodland where the dam is located. (The institute currently uses the property for the study of forest and wildlife ecology.) Last week she agreed to brave intermittent rain and swarms of voracious deerflies to educate this reporter on a lead I was following: I'd heard an entire valley in the North Country was paved over in the early 20th century to generate hydroelectric power. After climbing through a breach in the dam large enough to drive a four-wheeler through, we arrived at my desired destination: Cobblestone Hill, a moonlike landscape of short, gnarled trees and sporadic grass tufts protruding from rocky ground. Though the pavement beneath our feet in no way resembled that of a modern parking lot, it was clearly artificial. Still visible were boot prints from long-dead construction workers who once trod this valley and poured the 27,000 cubic yards of cement that went into the dam. It's here that longtime Chazy resident William Henry Miner (1862-1930), a wealthy industrialist, entrepreneur and philanthropist, constructed one of the largest dams ever built in the North Country. 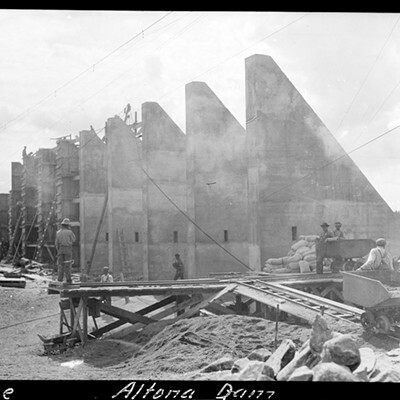 Altona Dam, also known as the "Million Dollar Dam" because of its estimated cost at the time, was finished in one year and operated intermittently from 1915 until 1922, when it was finally abandoned owing to seepage and generator problems. 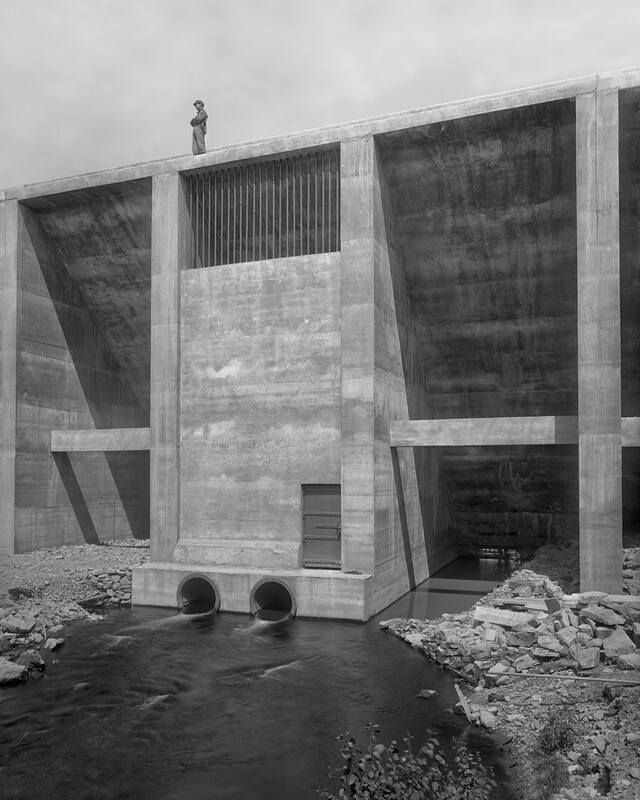 Though the ill-fated dam functioned for a mere seven years, it stands as a testament to the vision of its creator and his commitment to improving the lives of rural North Country residents. The dam hasn't generated electricity in nearly a century, yet Miner's legacy continues to power this sparsely populated rural community 10 miles south of the Canadian border. "We're 80-plus years after his death, and we're still doing what he wanted to do with the endowment that was left by him," explained Steve Fessette, director of the physical plant at the Miner Institute. I met Fessette and Bedard eight miles from the Altona Dam at the renovated 1905 storehouse that now houses the Heart's Delight Farm Heritage Exhibit on Miner's life and accomplishments. Heart's Delight Farm is sprawling and cinematically bucolic; upon my arrival, I spotted a trainer leading a Morgan horse into an enormous gray barn. Though it's not a degree-granting institution, the Miner Institute is nationally renowned for its equine, dairy and crop education and research. It's surprising that Miner's name isn't better known throughout the Champlain Valley. Born in Juneau, Wis., Miner was orphaned at age 11 and sent to live with his aunt and uncle on their 144-acre farm in Chazy. 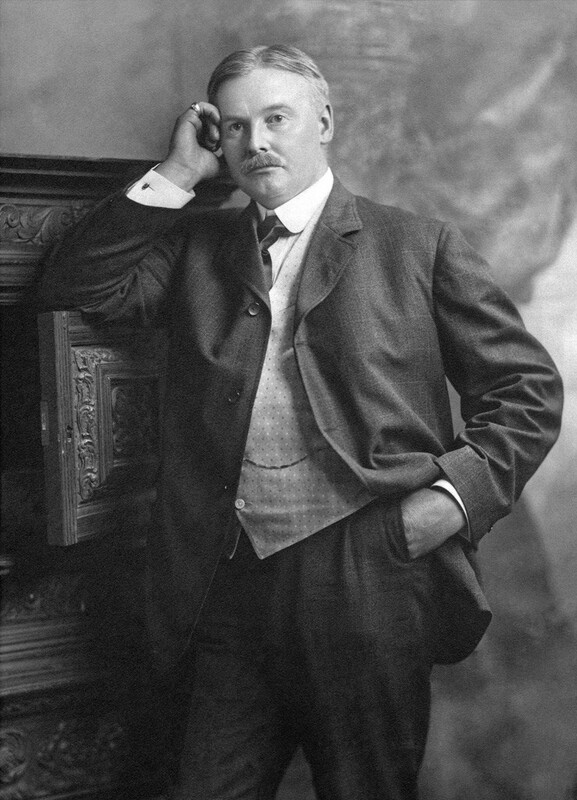 At 18, he returned to the Midwest and amassed a huge fortune working in Chicago's railroad industry. 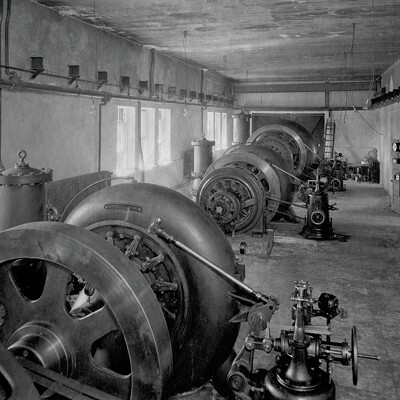 Notably, he invented draft friction gears that absorb the impact of freight cars as they're coupled and moved. In all, Miner patented more than 100 different railroad devices, including hand brakes, hinges and door latches for refrigerator cars, some of which the exhibit displays. History likely would have forgotten Miner if all he'd done was earn millions off his mechanical inventions. But Miner, a deeply religious man, believed that he had a moral obligation to share his wealth with the world. So, upon his return to Chazy in 1903, he expanded the family homestead to 15,000 acres, renamed it Heart's Delight Farm and began to reshape the surrounding landscape. 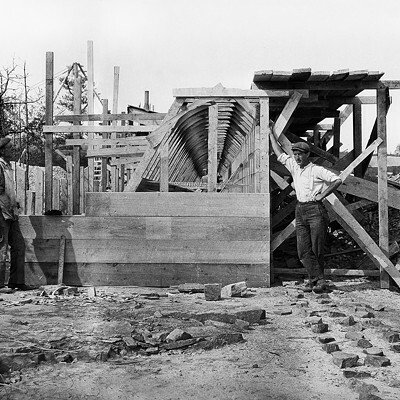 Beginning in 1903, Miner went on an ambitious building spree that would be impressive even with modern construction equipment. Within eight years, he erected more than 100 buildings on the farm, many of which still stand. These weren't mere sheds or outbuildings, either, Fessette noted. The dairy barn alone is 300 feet long and 40 feet wide and features meticulous craftsmanship that has withstood the test of time. At its peak, Heart's Delight employed 800 workers and had its own dairy, box factory, icehouse, natatorium, greenhouses and gristmill. There were also a 20-bedroom guesthouse, a 300-seat entertainment center named Harmony Hall and a 500-hole nesting birdhouse for purple martens, used to control mosquitoes. "[Miner] had indoor plumbing and electricity in the dairy barn before the governor's mansion in Albany did," Fessette pointed out. "He wanted to make sure that people in the country and the kids who grew up here had the same amenities as those in the city." To that end, in 1915, Miner donated $2 million to build the Chazy Central Rural School, a Spanish Mission-style building. It included a dining room, separate pools for boys and girls, a resident doctor and dentist, a stage and auditorium, and the latest intercom system. He purchased a fleet of buses and consolidated 11 small schools into New York's first rural school district. Miner also donated $4 million to build Physicians' Hospital, now the Champlain Valley Physicians' Hospital, in Plattsburgh. It included 212 patient rooms, four operating rooms, a maternity ward, an emergency department and a nursing school. The hospital opened on January 1, 1926, and still receives financial support from Miner's trust, according to Fessette. Walking through the Heart's Delight exhibit, I was immediately struck by the abundance of high-quality historical photos lining the walls. As Bedard explained, in 1999 the institute discovered 5,000 photographic negatives, many of them 8-by-10-inch glass plates that are remarkably well preserved. All are dated and labeled with the names of the buildings and places they feature. "It really allowed us to put the history back together the way it should be told," Fessette explained. "Obviously, if William Miner had the foresight to snap out 5,000 negatives, he had a plan for them." Because of the negatives' pristine condition, the image resolution is crisp even when enlarged. A viewer can easily make out fine detail on horses' harnesses, workers' buttonholes, even strands of hair and clothing fibers. According to Bedard, the entire photo collection has since been digitized, and she's now in the process of producing a searchable catalog. For photography buffs, the black-and-white images alone justify a trip to the Miner Institute. By coincidence, the newest addition to the exhibit related to the purpose of my visit: to learn more about Miner's hydroelectric projects. In May, the institute unveiled a new installation titled "Turning Water Into Light: Bringing Electricity to Chazy." Like the other exhibits, this room benefits from an abundance of high-quality photos, as well as archival maps and blueprints. All were used by professional model builders to create historically accurate miniatures of Miner's various buildings and structures. 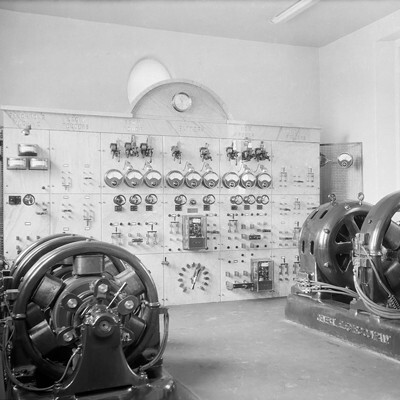 According to Fessette, Miner's curiosity about hydroelectric power was sparked by a visit he took with his wife, Alice, to the 1893 World's Columbian Exposition in Chicago. "They were lighting up all these buildings with this new technology," Fessette explained. "It was really big, and he ... wanted it here." Miner's hydro projects in the North Country began in 1907 with a series of small dams on Tracy Brook, a tributary of the Little Chazy River. By 1910, he'd built a powerhouse in the village of Chazy; work on the Altona Dam began in 1911, with three others started in 1915. 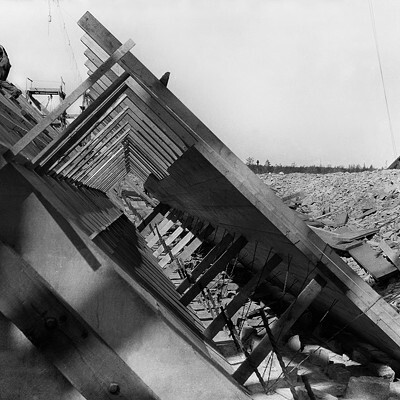 The installation features many black-and-white images of the dam under construction. 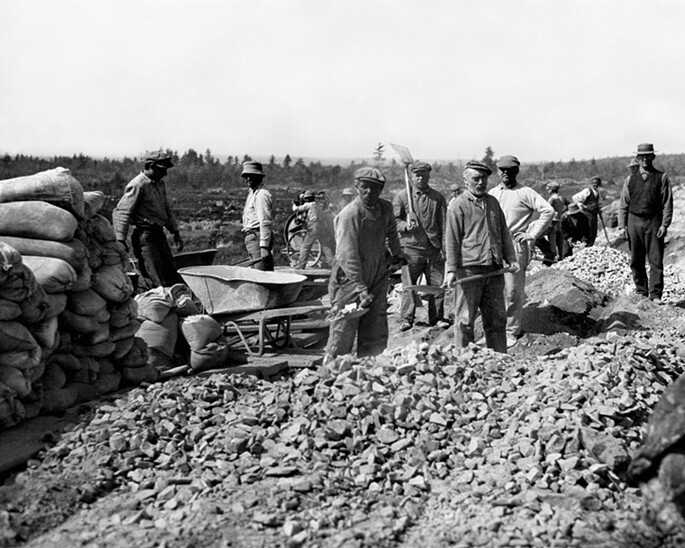 In 1922, Miner built a 1,500-foot-long dam on McGregor Pond to create Miner Lake. 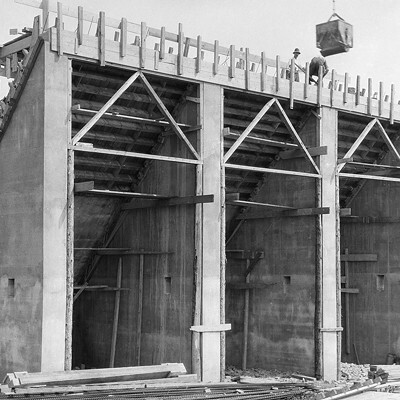 The dam included 5,000 feet of penstock, or steel piping, that led to the McGregor Powerhouse, which still stands and is visible from the road in Altona. 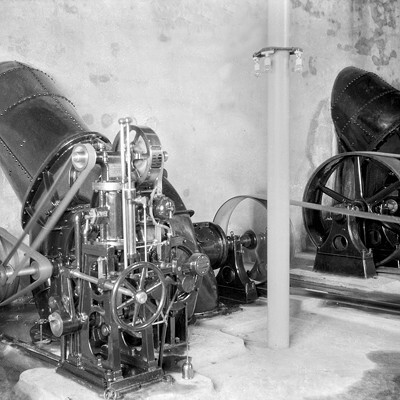 The McGregor Powerhouse wasn't just an engineering marvel, Bedard noted. The elaborate, six-story Spanish Mission-style structure featured apartments upstairs for the workers and their families. 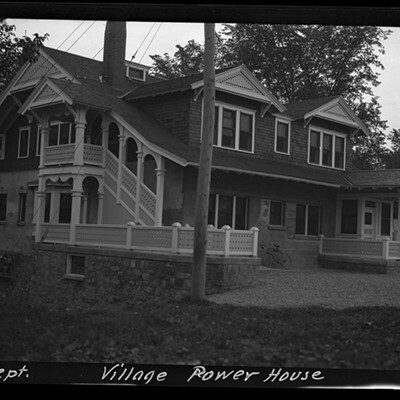 When Miner realized that the McGregor hydro system wouldn't produce enough electricity to power his farm and the public school he'd built, he constructed a second, LaSell Dam, just below it. At maximum flow, the two dams produced about 3.6 megawatts of power. Miner ran 16 miles of transmission lines to power the farm, school, and Chazy churches and streetlights, all at no cost to residents. The free electricity also powered sump pumps for several hundred miles of agricultural drain tiles Miner had installed. 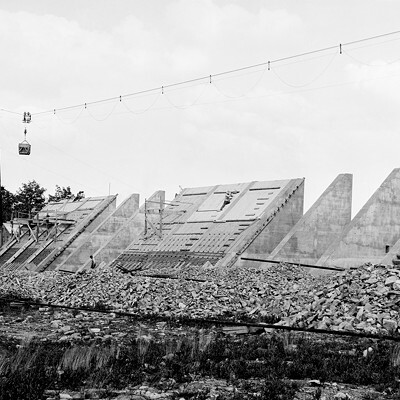 Unlike the failed Million Dollar Dam and a second one called Skeleton Dam, begun upstream and never completed, McGregor and LaSell continued producing electricity until 1961. Ultimately, it was cheap petroleum as a source of generation that shut down both facilities. The LaSell Dam fell victim to damage from Tropical Storm Irene in 2011 and had to be demolished. Miner himself came to an ignoble end. He died tragically in 1930 due to complications from an elective tonsillectomy, in the very hospital he'd built. His will decreed that, within 10 years of his wife's death, an agricultural school be created. The Miner Institute opened in 1951. The institution and its 50-plus jobs remain a bright spot on a landscape with few other employment options. The Altona Correctional Facility just down the road employs 230 people, but the Pfizer Northstar Technology Center adjacent to the institute closed in 2009, eliminating hundreds of jobs. Miner never achieved his vision of powering the entire region with hydroelectric dams; today, hydro provides only 17 percent of the state's total electricity. But, as Fessette put it, "His legacy and vision still live on." The original print version of this article was headlined "Miner Miracles"